The TK & Kindergarten Program at After School is designed to supplement the school day schedule and provide care for TK and kindergarten-aged children who attend school part time. 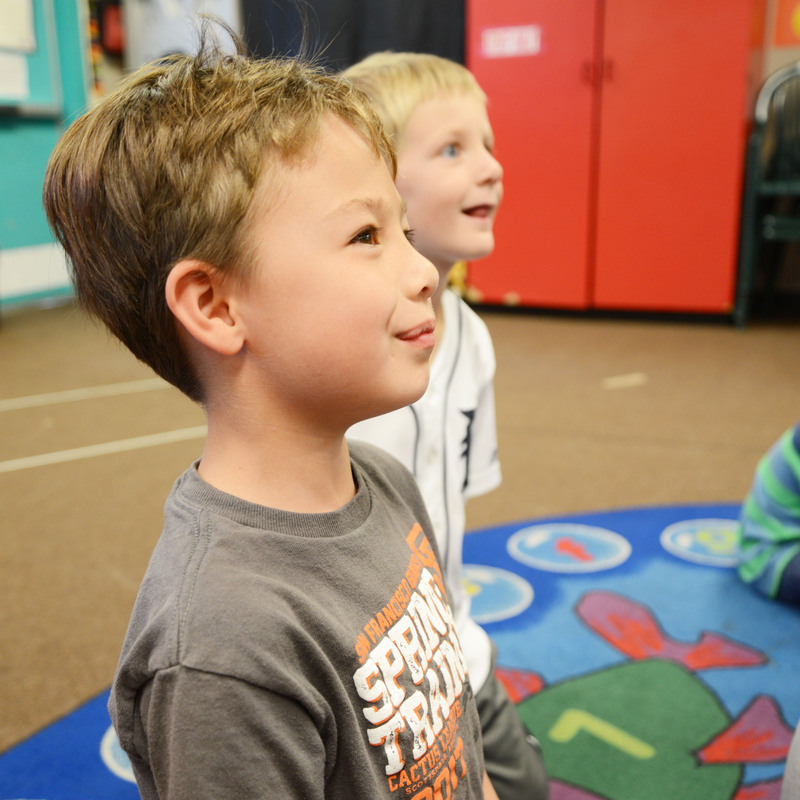 The TK & Kindergarten Program is designed specifically with the needs of younger children in mind. Regular activities include circle time, special art projects, snacks, and story time. We provide some freedom for children to choose between activities, but also structure their time to make sure they have time to rest and relax in a quiet environment and refuel their bodies. In the afternoon, children enrolled in the TK & Kindergarten Program are joined with the older children (1st-3rd grades in San Carlos, 1st -5th grades in Belmont) who attend the Afternoon Program. Assuming there is space available, any child attending one of the schools we serve who is in kindergarten or the transitional kindergarten class is eligible to enroll in the TK & Kindergarten Program. We begin accepting newcomers onto a waiting list for the TK & Kindergarten Program on August 1st, one year prior to your child’s start of kindergarten or transitional kindergarten. To be placed on our waiting list, click on your preferred site below. If you already have an older sibling in After School, please log in to the parent portal and add a child to your account, then add him or her to the TK/K program at your school. Questions? Contact one of our sites directly to speak to a Site Manager. Please submit your waiting list form as early as possible, as we do reach our capacity each year well before school begins. With limited spots available each year, we determine who will receive the registration packets based on when the form is submitted. Registration in After School is dependent on school district registration, and so the timing varies. In San Carlos, registration packets are available in October. In Belmont, registration packets are available in April. After receiving a packet, you must fill out all of the paperwork and return the forms to us along with a nonrefundable registration fee. After the forms and the registration fee have been received, you will receive a letter confirming your child’s spot in After School. The hours of operation for our TK & Kindergarten Programs vary at each location to match individual school’s TK and kindergarten schedules, because each individual school campus has a different start time and schedule. Our San Carlos schools generally maintain two TK and kindergarten start times: 8:30 AM and 9:30 AM. White Oaks starts at 8:35 AM and 9:40 AM. In Belmont, all kindergarteners at Central School start at 8:30 AM. We also offer an extended TK & Kindergarten Program, called Late Bird TK & Kindergarten, for TK and kindergarten children who have a later start time. Late Bird TK & Kindergarten runs from about 8:30 until the later kindergarten start time at our San Carlos schools. Our TK & Kindergarten program runs in the afternoon from when kindergarten ends (around 1:30 or 2:30 PM) until 6:00 PM. If your child attends our afternoon TK & Kindergarten Program, they will be integrated with the older children that attend our Afternoon Program. We have found over the years that a mix of ages provides a family-like atmosphere, with older and younger children interacting with one another and learning from each other. We closely monitor the interactions between children and employ stricter rules for the kindergarten children when they first join us to ensure their integration with the older children is seamless.